Italian Garden Architecture is another style that evolved after the Persian Gardening Style… This added another element of interest in the “Development of the Modern Garden Architecture”. The possibility of building a villa arose at a time when control of the hinterland by cities rendered fortified rural settlements unnecessary. Existing country houses belonging to the large land owning town nobility could be converted and newly built villas built solely for enjoying rural life did not need to be defensible as a castle. Both types represent the cultural ideal of rural life the so called villeggiatura. 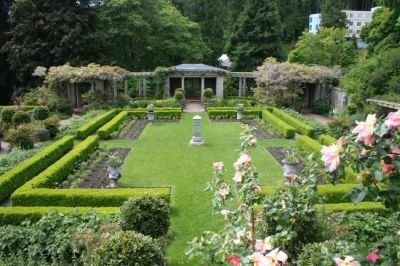 Italian gardens are characterized by the abundance of architectural features or built features in the garden. Staircases, balustrades, cascades pavilions and pavements – even the cypress avenues are imitations of colonnades. The origins of the style are to be found in ancient Rome. They took the pains to site their villas on the countryside with exceptional views, where cooling breeze would reach them above malarial valleys. Within the villas there were courts and colonnades designed for every phase of wind and weather.